Here is an interesting find. 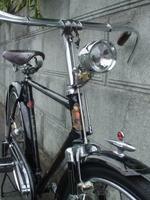 A genuine Nichibei Fuji bicycle bell. 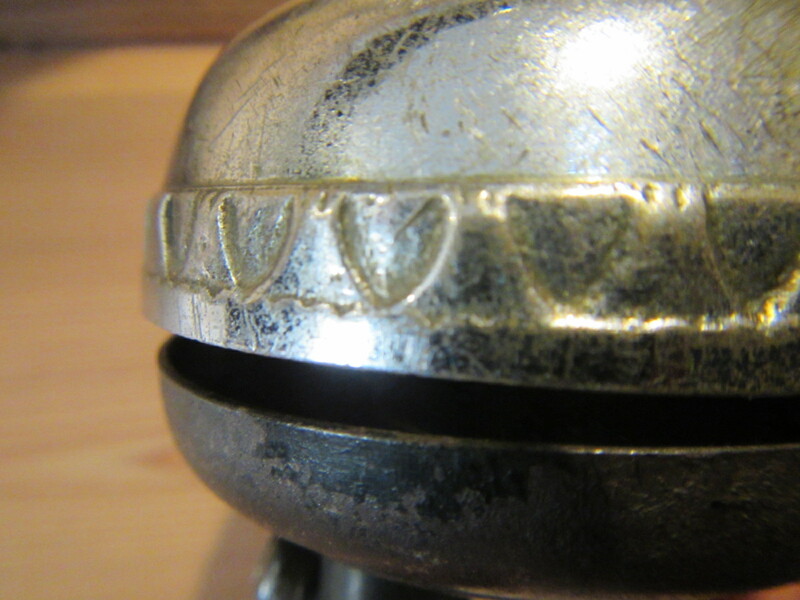 Like most bells from the 1950's it is chrome plated and has the manufacturer's trademark casted into the brass resonator. Although manufacturers went to great lengths to put their trademark on each and every part, often more than once on a single part, Nichibei Fuji appears to have been one of the leaders in designing-in their trademark on virtually every part. For example, reference the link below to see just how obsessed Nichibei Fuji was in designing-in their trademark. Note the Nichibei Fuji trademark stamped into the trigger. 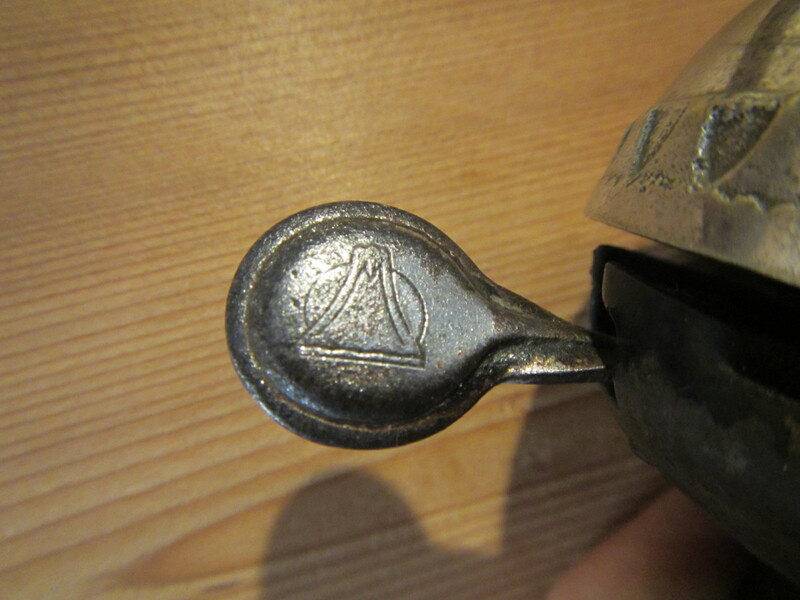 Also take a close look at the design along the base of the resonator. 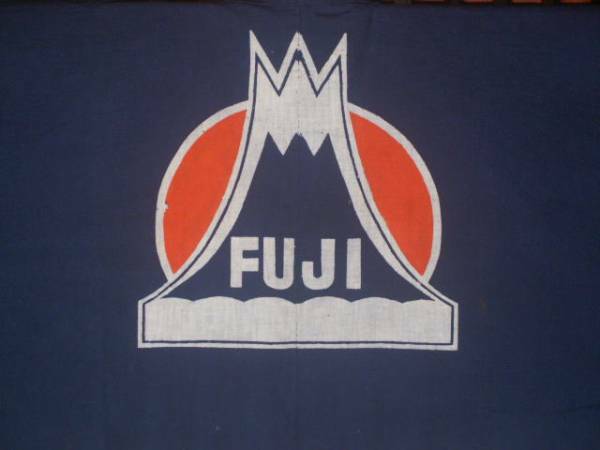 That design is the infamous Fuji logo, 25 of them to be exact,　a virtual mountain chain encircling the base of the resonator. 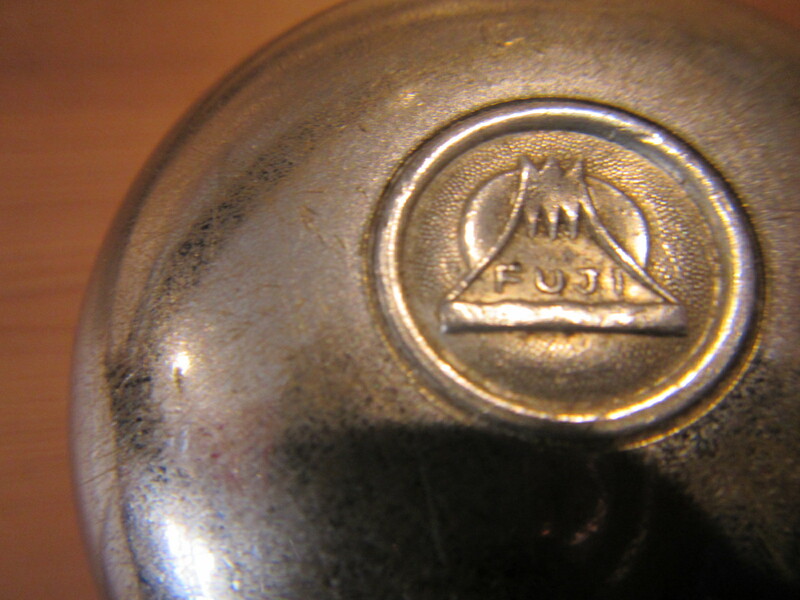 A single bell, and the Fuji trademark appears twenty-seven times. Nope, they certainly don't make them like this anymore. 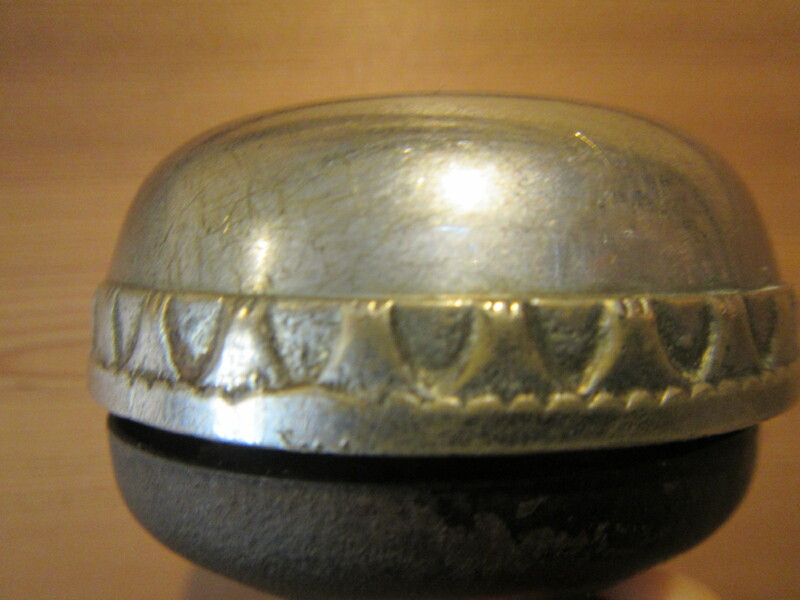 This style of bell can still be found today, though I am uncertain as to whether or not the resonators are still made of brass. 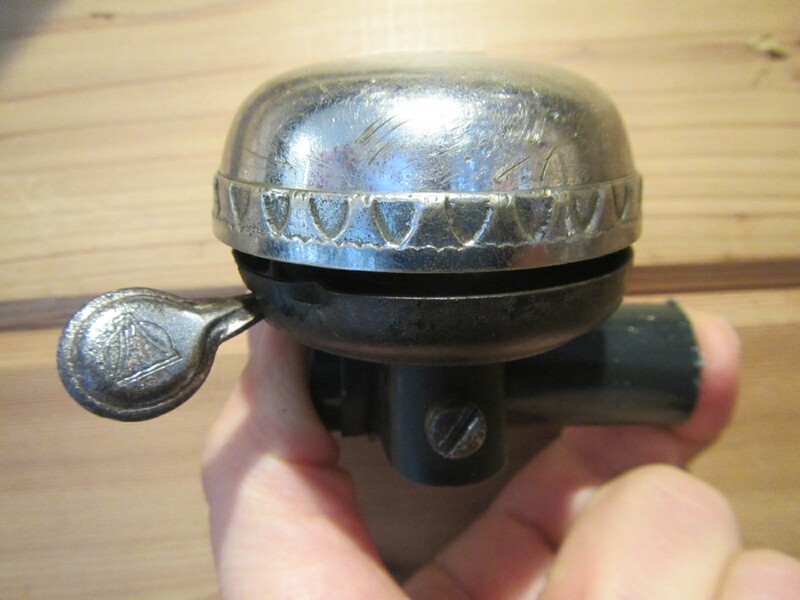 Check out its predecessor, known as the"Revolving" bell, which is rarely seen today, and, moreover, much louder.